The optimised compact design of this equipment allows to meet nearly all requirements of our customers in best time owing to the high degree of flexibility that can be applied for selecting assembly groups and components. 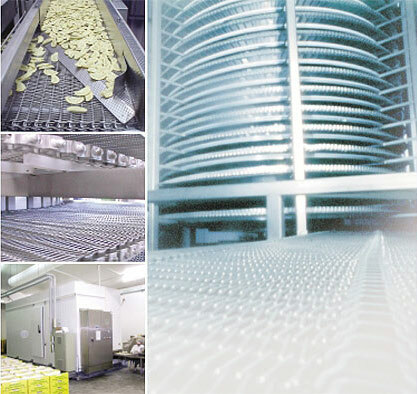 Our longstanding experience in the construction of spiral freezers and in the conceptual design of custom, tailored installations for food production and processing provide optimised technology on little space and easy maintenance. 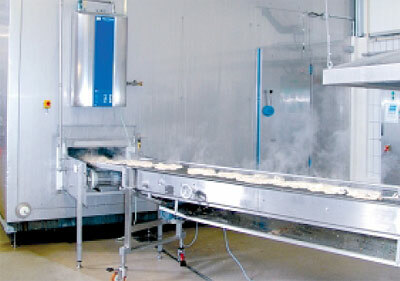 This results in an excellent price-performance ratio and very low cost of operation. 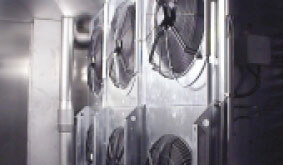 Efficient and energy-saving: the sophisticated cold air guidance and distribution system. 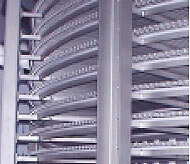 Spiral Freezer in compact design: Owing to the variable positioning of inlet and outlet the spiral freezer can be easily integrated in any plant. 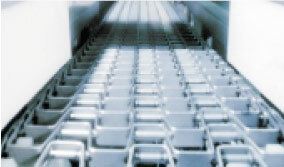 adaptable width of belt allows perfect integration in each production line.